Received fast, everything worked as expected, no FTF or FTE, is more accurate then I am, no issues for me at all, maybe a bit more dirty then commercial brands, but I clean after every outing, so no issues there either, for the price I will be buying more. Just stocking up for TEOTWAWKI. This is for one of my son's guns and he said I couldn't have gotten anything better. Very quick shipping. I don't shop anywhere else for ammo. I shot numerous boxes and had no issues with rounds other than really dirty ammunition. Thought I had my weapon in gun powder keg. I've bought from another supplier before, but LG has the best price and shipping. the 45 APC i bought preformed just as it should in my FNX45 no issues. In fact all ammo i have purchased from LG works just it should. First the LG part. Have been buying from LG since 2012. Very easy to use website with great organization and sorting function; love the price per round and quick simple stats info; great selection with full range of prices to accommodate what you can afford; great value - either matching lowest price or very close to it and I'll pay a couple of extra $$ sometimes to get LG's great service; listed = in stock, that simple; always fast shipping; well packaged i.e. never a broken/busted box or damaged items. Second the ammo part. Nicely packaged with thin cardboard divider between ammo layers - easy to stockpile in .50 cal ammo cans; ammo is clean and looks consistent - not seen any defects; have not had a FtF, FtE with 300-350 rounds through three different high capacity Para Ord pistols nor any failures with about 500 rnds through a suppressed MAC 10 with Lage upper (~750 rpm); burns clean with minimal residue in 3", 5" and 9" barrels. Would highly recommend and will continue to buy this ammo. Rounds were true with no misfires. What else is there. Out of 100 rounds I had 3 FTF. Other than that the ammo was pretty clean. I also purchased this same brand in 9mm and it performed flawlessly. Very reliable ammo maker. I use Federal in 45 acp, 9mm, 5.56, 38 special and other calibers. i really like the Federal 45 acp and it is my preferred round for all of my 1911s. Lucky Gunner was a good find. No complaints with pricing and deliveries are timely. I don't find the ammo dirty. 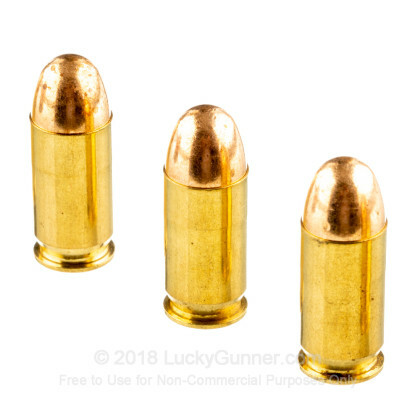 i could name a few brands of ammo that are really dirty. i clean my guns after shooting so I expect them to be a little dirty after shooting 250 rounds per outing. fired 50 rounds with no failures. 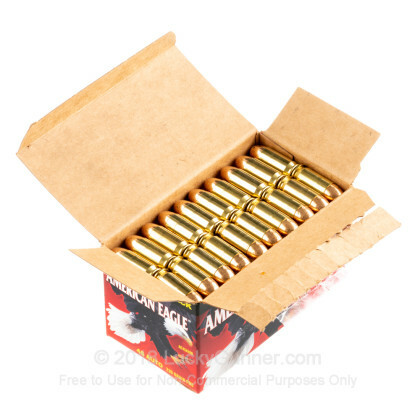 Great plinking ammo, used several boxes so far and have not had any problems. Friends have used some in different guns and they liked them. LG made it easy to order and the shipping was fast! Use American Eagle most of the time, no problems. Fast shipping from Lucky Gunner. Favorite target ammo. Used PMC bronze before these and had feed issues but not with these guys. Worth it. worked great in my 1911, not a single issue in the lot, little pricey but well worth it. wish i got some more, fast shipping, will most definitely use this again. I've ordered several times from Lucky Gunner, always satisfied! 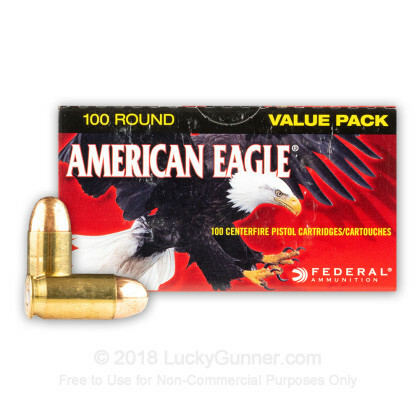 Great plinking ammo. It burns a little dirty, but zero problems as far as feeding and ejecting go. 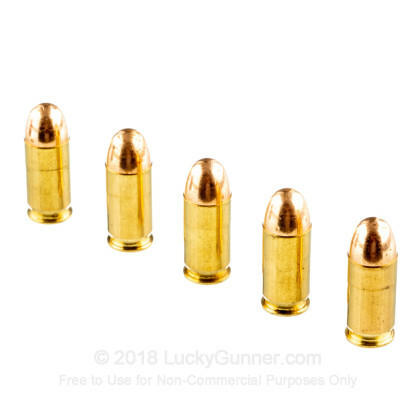 Great plinking ammo. It burns a little dirty, but zero problems as far as feeding and ejecting go. 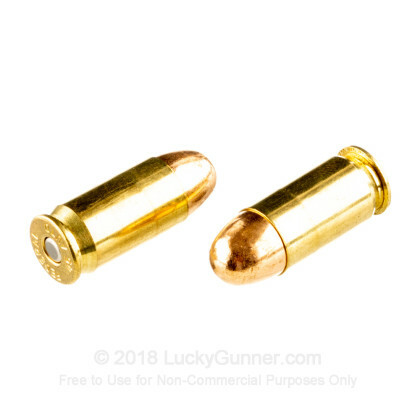 Good ammo for the price. 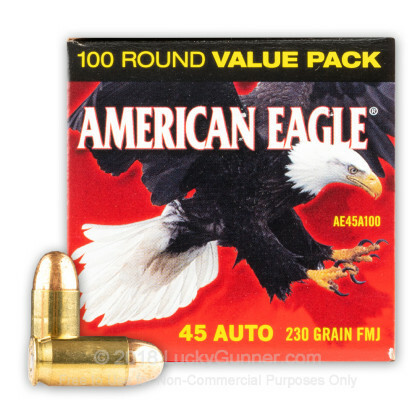 We also have this 45 ACP - 230 Grain FMJ - Federal American Eagle - 500 Rounds ammo in stock in a bigger quantity.